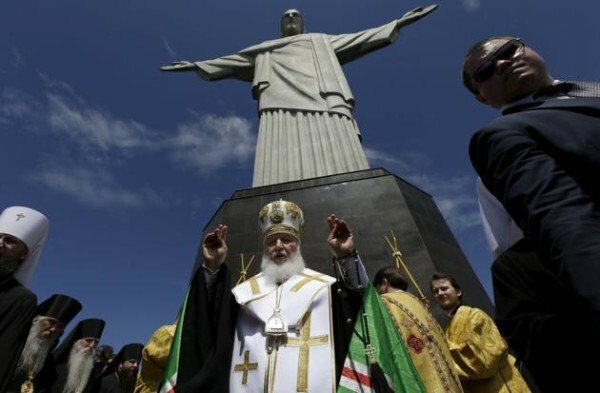 Patriarch Kirill has prayed in front of the Christ the Redeemer statue in Rio de Janeiro, Brazil. The head of the Russian Orthodox Church’s Latin America tour began last week, with a historic meeting with Pope Francis in Cuba. Patriarch Kirill arrived in Brazil after visiting Paraguay and a Russian scientific base in the Antarctica. From Rio, Patriarch Kirill traveled to Sao Paulo and held mass at a Russian Orthodox church, in the last stop of his visit.